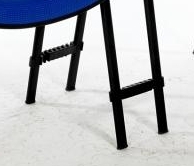 Stacking vinyl reception chair with a perforated back, & padded vinyl seat, available in a range of vinyl colours. 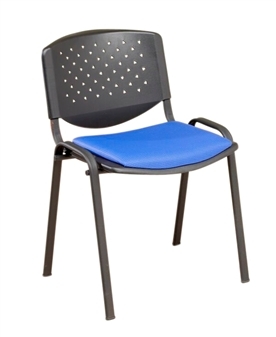 This chair can be used in reception areas, surgery waiting rooms, the meeting room, conference room, or as a visitor chair. 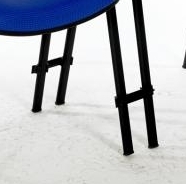 Also ideal seating for the school, hospital, clinic or in laboratory and science classrooms. The standard vinyls are wipeable, and washable with a damp cloth and warm water. The vinyl has a low hazard rating, and conforms to the BS5852 Standard cigarette and match tests. The vinyls are available in a selection of popular colours. (Other vinyl colours are available on request and for an extra charge. Please call the office to enquire further.) The chairs are recommended to stack 4-5 high.